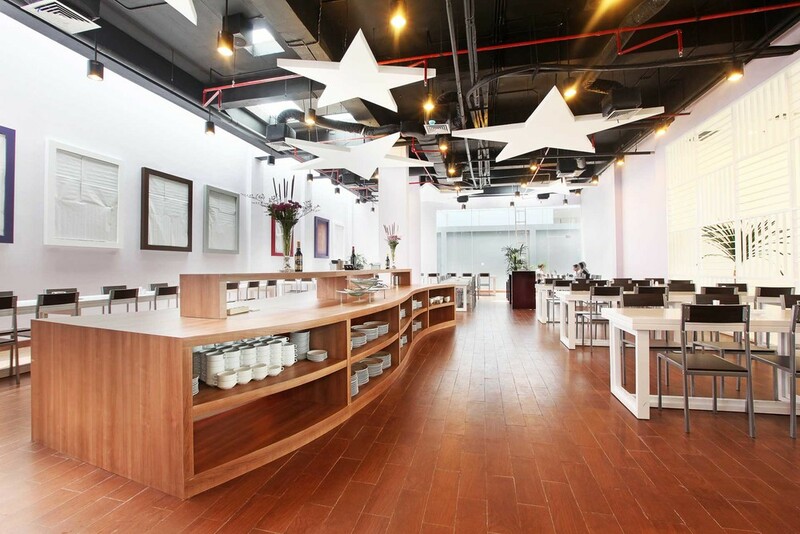 Located in the up and coming part of Gading Serpong, Tangerang, Fame Hotel is a striking sight. Not afraid of bold colors, purple is the heart of this site with a dash of it running through some parts of the lobby and permeating the guests’ rooms. In other parts such as the meeting room and the restaurant, bright colors become the backdrop of the upbeat vibe juxtaposed with sparse furniture placement to provide more width and space. 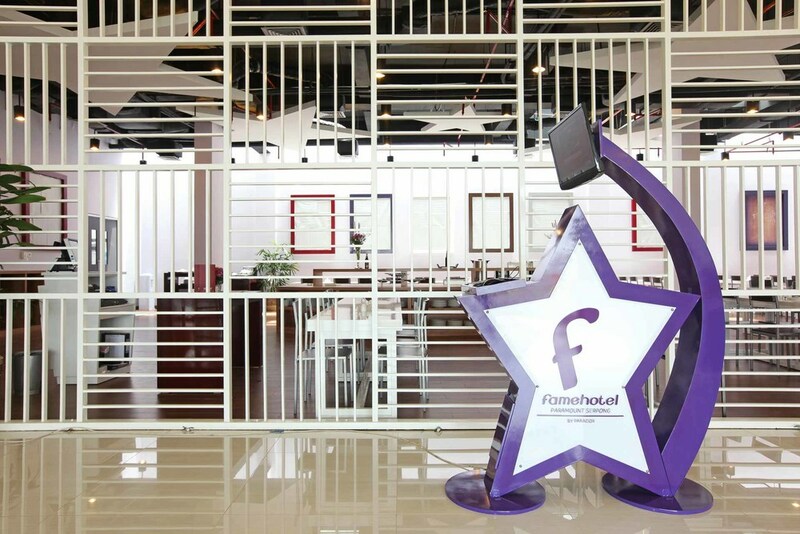 The initial “F” of Fame Hotel has not only become the actual logo, but it’s also synonymous with the theme of famous people and Hollywood stars that manifests itself throughout various embellishments in the building. Accompanying the movie stars line, hung above the restaurant are star ornaments to sparkle the mood.